Syed Murawat and Co. is the leading web developer company in Pakistan. We perform the technical implementation and development of a website using PHP, Java Script, JQuery, HTML CSS3, and Bootstrap 4. 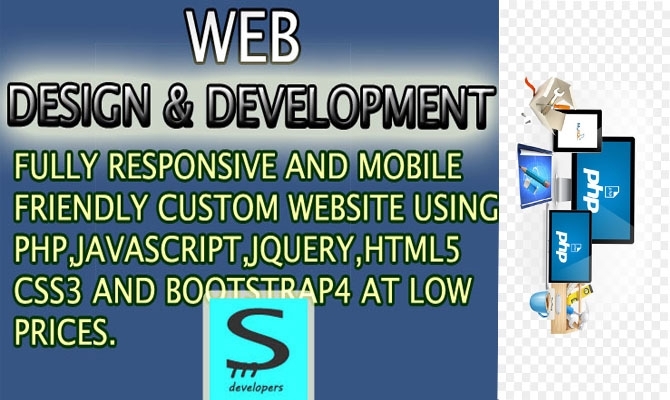 We have an expert team of the web developers that performs all the web development services in-house. We analyze the customer need and fulfill their requirements. Our mission is to provide you cost-effective and quality website design in Pakistan to make a high-quality brand in the online environment worldwide. Mobile-friendly website (Supports iPhone, iPad, iPod, and Android). 3 to 4 dynamic banners and sliders. 1 week free changes after the website is ready. Mock-up of the website will be ready within 4 to 5 working days.